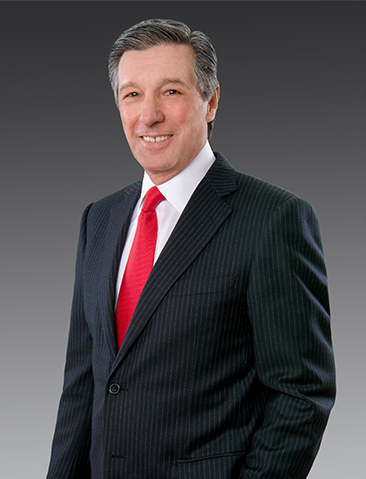 Mr. DiLella is a principal of Equus Capital Partners, Ltd. serving as the Firm’s President and Chief Executive Officer. Under Mr. DiLella’s leadership, Equus has grown to become a multi-faceted national real estate investment company with expertise in development, investment, asset management, and property management. Mr. DiLella is a member of the Investment Committee and has served continually since its formation. Mr. DiLella’s career as a real estate specialist spans four decades and includes experience in all types of real estate investments and developments throughout the United States. Prior to joining Equus, Mr. DiLella was Vice President of Girard Bank in Philadelphia where he had a 10-year career in the Commercial Real Estate Department as a lender and a member of the asset recovery team. Mr. DiLella is a member of the Board of Trustees of Villanova University, and Chair the Trustees’ Committee. He funded the establishment of the Daniel M. DiLella Center for Real Estate at the Villanova University School for Business where he is Chair of the Real Estate Advisory Council. Mr. DiLella also serves on the Stewardship, Executive and Executive Compensation Committees at Villanova University. Mr. DiLella was recently appointed as a member of the United States’ Semiquincentennial Commission in celebration of our Nation’s 250th Anniversary. Mr. DiLella is a Trustee of the Cahill Trust and Chair of the Advisory Board of Roman Catholic High School. He also serves on the Boards of the Museum of the American Revolution, the Barnes Foundation, the Philly Pops, Central Philadelphia Development Corporation, and Drexel University Real Estate Advisory Council. Previous board appointments include the President of the Union League of Philadelphia, where he is currently the Chairman of the Scholarship Foundation. Other previous appointments include the Committee of Seventy, the Pennsylvania Academy of Fine Arts, the Battleship New Jersey, and the Philadelphia Police Foundation. Mr. DiLella is the recipient of the St. Thomas of Villanova Alumni Medal and the Villanova Bartley Alumni Medallion. Mr. DiLella holds an M.B.A. from St. Joseph’s University and a B.S. in Finance from Villanova University.